Part two took a step back for strategic context and re-examined a conceptual framework characterizing the dynamics that contribute to instability and stability in the space domain. All in all, instability arises when there is a real or perceived lack of order and security, while stability arises when there is a real or perceived sense of order and security. Part three concludes the series and completes the circle with a relook on how America (through the Space Force) can mitigate instability and strengthen stability in space, while prolonging U.S. space preeminence into the 21st century. Preeminence Puzzle. As the guarantor of the global economy and provider of security, stability, and leadership because of its powerful military and vast network of allies and partners, the United States delivers global public services that others cannot. Thus, there is a strong need going forward for a comparable guarantor of the freedom of space to ensure the free flow of space commerce. If so, just as maritime preeminence is necessary to guarantee the freedom of the seas, so too is space preeminence needed to guarantee the freedom of space. The puzzle for American policymakers is whether it may be more cost-effective to invest now and maintain space preeminence or pay more later to make up for diminished space capabilities and capacities while accepting greater strategic risk in the interim and possibly ceding space preeminence to strategic competitors like China (and Russia) in the long term. If the former, then the answer to the puzzle is the Space Force, whose preeminent presence – enabled by a vast network of allies and partners – guarantees the freedom of space and ensures the free flow of space commerce for all. Domain Dilemma. America fundamentally has two space deterrent and response options – threaten to respond (or actively respond) in the same domain, or threaten cross-domain retaliation to underwrite the deterrence of attacks on U.S. space capabilities (or respond across domains as retaliation). The scope, nature, and degree of these two courses of action must ultimately strike the delicate balance between the need to demonstrate the willingness to escalate and the imperative to not provoke further escalation in order to maintain space stability. The dilemma for the United States is where, when, and how best to deter; and if deterrence fails, where, when, and how best to respond. The Space Force lessens the dilemma by providing a flexible and capable deterrent and response force to keep the common peace. Reliance/Resilience Riddle. 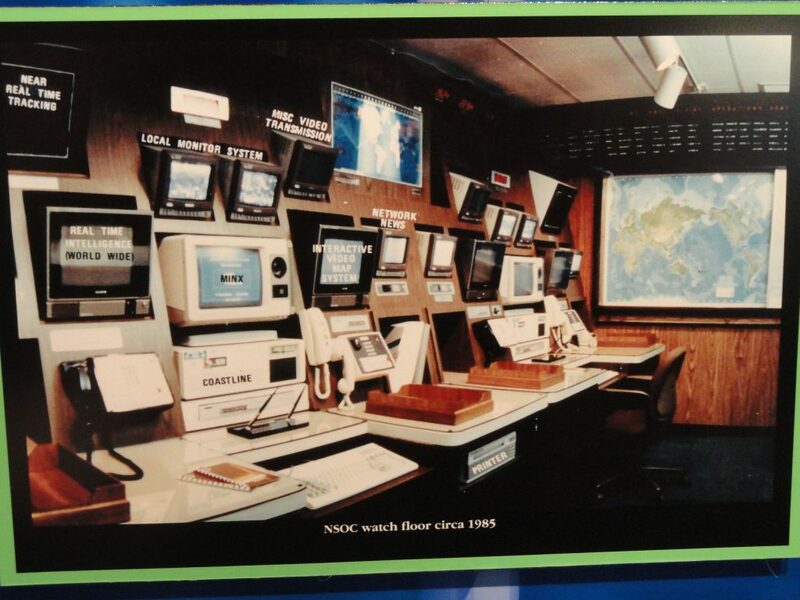 Enhancing and securing space-enabled services is essential to U.S. national security, a daunting task considering that space has become more and more “congested, contested, and competitive,” less and less permissive for the United States, and increasingly disproportionate in reliance on space capabilities and vulnerable to growing attack vectors. The riddle for America is how best to manage the dichotomy between reliance and vulnerability through resilience. The Space Force tackles the riddle by better and more informed management of and advocacy for mission-focused space requirements to enhance and protect U.S. critical capabilities in space. Offensive Counter-Space (OCS) Conundrum. Space warfare is intrinsically offense-inclined due to the vulnerability, predictability, and fragility of space assets. Ever-increasing OCS capabilities are able to threaten and destroy space systems. The latter can be destabilizing (warfighting capability) or stabilizing (deterrence) depending on one’s perspective. Hence, the conundrum for the United States is not whether or not to possess OCS capabilities, but how best to use them to deter and retaliate if deterrence fails. The United States must consider what type, how much, and to what extent should OCS capabilities be publicly disclosed, and how to leverage the existing international legal framework and accepted norms of behavior to manage them without constraining or hindering one’s own freedom of action. OCS capabilities continue to grow in number and sophistication driven by the “offense-offense” and “defense-offense” competition spirals. OCS developments to defeat defensive counter-space (DCS) measures drive further OCS developments for fear of falling behind in offensive capabilities and encouraging a first strike by an adversary, while DCS developments to mitigate OCS measures drive further OCS developments to remain viable as deterrent and offensive tools. The Space Force addresses the conundrum by providing a strategic framework to better direct and synchronize OCS and DCS operations (balanced management). Sustain and Enhance Space Preeminence. Just as maritime preeminence is necessary to guarantee the freedom of the seas, so too is space preeminence needed to guarantee the freedom of space. To do otherwise invites strategic misalignment and miscommunications and encourages strategic competitors to further advance their counter-balancing efforts. Put simply, if the United States does not preserve its current strategic advantages in space through a Space Force, a rising power like China may gradually eclipse America as the preeminent power in space which will have cascading strategic ramifications on Earth. Recall that China already has a Space Force – the People’s Liberation Army Strategic Support Force. Develop Cross-Domain Deterrence Options. Deterrence across the interconnected domains may offer the best opportunity to deter attacks on U.S. space capabilities, and if deterrence fails, retaliate across domains to deter further attacks. Prudence then suggests the need for some level of active planning prior to the onset of increased tensions and hostilities. American policymakers and defense planners should have on hand a broad set of potential cross-domain responses to the threats of space attack or the space attack itself for timely execution by the Space Force. Strengthen Space Governance. Since the elimination of OCS capabilities is unlikely, attention and efforts should be placed on managing them instead. The extant international legal framework and accepted norms of behavior offer some ways and means to reduce OCS capabilities to a manageable level, restrict their proliferation, and establish constraints and restraints on their employment. Space powers should review the existing international agreements (treaties) and legal principles, and determine what additional conventions or provisions are needed to set the acceptable limits of OCS capabilities. This can include efforts to establish confidence building measures to include verification, and limit the possession of OCS capabilities to select space powers and out of the hands of space “pariah” states (North Korea and Iran) and undesirable non-state actors (terrorist, criminal, and business groups). 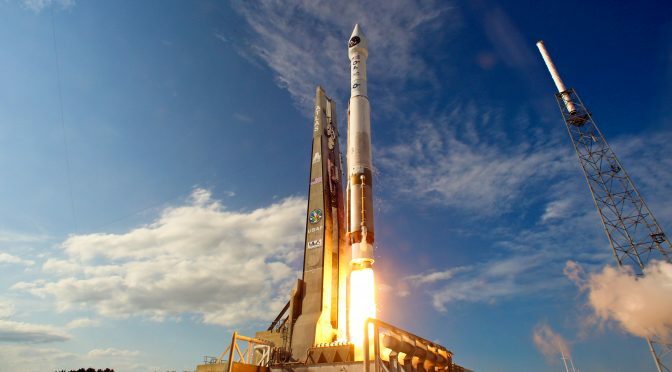 The Space Force, dedicated and committed to monitoring and checking emerging threats in the space domain, will better inform U.S. policymakers and diplomats as they navigate the legal and diplomatic minefields to establish new international agreements to further universal space stability and safeguard U.S. national interests. Continue to Invest in OCS Capabilities. The heart of the matter remains what type of OCS capabilities (reversible, irreversible, or both) and how much may be needed by the Space Force. Regarding the latter, some argue none or limited quantities are required while others call for robust OCS capabilities. Whatever the right answer may be, it is difficult to see how the Space Force can deter or retaliate if deterrence fails without “some” OCS capabilities, especially considering that strategic competitors like China (and Russia) are actively developing their own OCS capabilities to challenge U.S. space preeminence and by extension U.S. terrestrial preeminence. Continue to Increase Resiliency. Strengthening the resiliency of the U.S. national security space architecture may offset the offensive inclination of space warfare by lessening the vulnerability and fragility of space assets, assuring retaliatory capabilities, and denying the benefits of OCS operations. 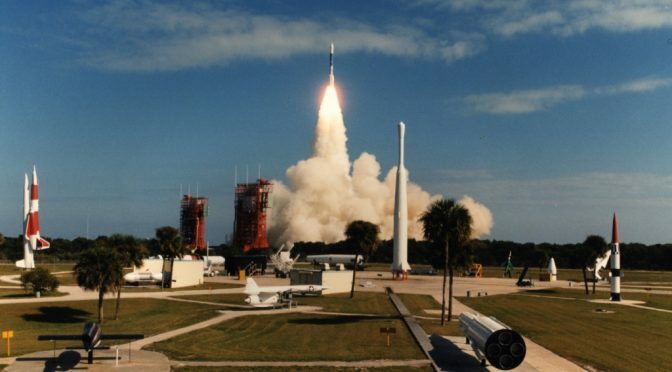 Hence, three suggested resilience lines of operations for the Space Force can include building up space protection capabilities to decrease the vulnerability and fragility of high-value space assets by presenting more targets, hiding targets and maneuvering targets, and ensuring mission continuity in a disrupted space environment. Continue to Expand Partnerships. The extant strategic guidance calls for building enduring partnerships with other space-faring nations, civil space organizations, and commercial space entities to share benefits, costs, and risks. Strategic guidance also encourages efforts to strengthen existing alliances through increased cooperation across the various space sectors, spreading space services reliance to others, and providing greater space deterrence and stability through collective defense. That being said, partnerships also carry with them opposing risks and concerns. Risks include the unpredictability of horizontal escalation and greater potential damages and unintended consequences. Concerns center around autonomy, operational security, legality, and the interoperability of disparate space systems. All things considered though, the benefits outweigh the costs, risks and concerns are manageable in varying degree, and partnerships can ultimately be a stabilizing influence if done right. The Space Force, where the rubber meets the road, can help get it right. The Space Force will ultimately be where the preponderance of the complex working relations between allies and partners will be managed on a day-to-day basis. Future U.S. space leaders (military and civilian) and foreign counterparts will now have intersecting careers paths (touchpoints) to meet and cultivate enduring friendships that will translate into deeper international collaboration. All major space-faring nations increasingly rely on space capabilities, but none more so than the United States. America presently has a lot more to lose, and therefore must take all necessary measures to protect its critical strengths in space and preserve its economic prosperity on Earth. Hence, to direct and guide the new Space Force, U.S. policymakers must develop a new space policy and strategy to sustain and enhance U.S. space preeminence in accordance with the new muscular National Security Strategy and National Defense Strategy. Otherwise, America risks losing in space and consequently losing on Earth. Tuan Pham has extensive professional experience in the Indo-Pacific, and is widely published in national security affairs and international relations. The views expressed are his own. Last year on June 18, President Donald Trump directed the Department of Defense (DoD) to establish the “Space Force.” The Space Force would be a distinct but equal military service to the Air Force, which has presided over U.S. military space operations since the establishment of an Air Force major command (Space Command) in 1982, subsequent elevation to a unified combatant command (U.S. Space Command) in 1985, and then finally relegation back into the U.S. Air Force as the Air Force Space Command years later. On August 9, the president further instructed DoD to immediately begin the process to establish a Space Force as the sixth branch of the armed forces. On October 23, the National Space Council served up six recommendations to the president to further advance the establishment and sustainment of the proposed sixth military branch. The recommendations call for a unified space command to be known as U.S. Space Command; a legislative proposal for a Space Force; a funding plan in the FY2020 budget; an interagency authorities review; a joint Space Development Agency for technology procurement; and strengthened relationships between military space and the intelligence community. On December 18, the president ordered the Pentagon to re-establish the U.S. Space Command as a unified combatant command for space operations. Two days later, the president announced the Space Force will reside within the Department of the Air Force. Since the President’s directives, subsequent think tank and media commentaries have focused largely on the necessity for a Space Force. This includes the imperative to counter Chinese (and Russian) growing space ambitions and capabilities, and managing the multitude of bureaucratic, budgetary, doctrinal, command relationship, and legal implications and challenges to establish the sixth military service. 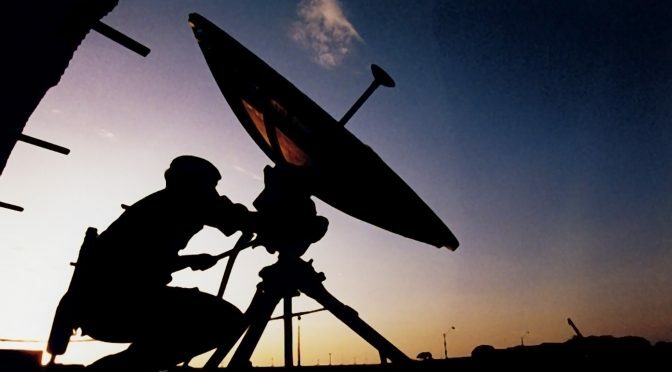 One of the more thoughtful and insightful analysis on the imperative to counter growing Chinese space ambitions and capabilities – in terms of great powers competition – was written by Namrata Goswami in The Diplomat. In the article titled “Waking Up to China’s Space Dream,” he posited that the “political vision for space, championed by the Chinese leadership, is to build internal capacity that can support a space presence and establish dominance and industrialization that would in turn enhance the national rejuvenation of the Chinese nation.” Underscoring Goswami’s point, China’s Chang’e-4 lunar probe made the world’s first landing on the far side of the moon on January 3, and Beijing announced shortly thereafter more lunar missions later in the year to lay the groundwork for a moon base and an ambitious plan to explore Mars by 2020. Interestingly, Chinese media and punditry have also offered their opinions on the proposed U.S. Space Force, most notably the People Liberation Army’s (PLA) Daily and Global Times (subsidiary of the PLA Daily). The former proffered a Chinese assessment of U.S. challenges and opportunities. The Chinese authors surprisingly understood the complexity and nuances of U.S. space policies and operations and the underlying politics and bureaucracy involved. The latter asserted that “outer space has been a place of peace…the United Nations resolutely opposes the militarization of outer space and all countries have remained constrained in terms of their research of military space systems…by establishing a Space Force the United States has started an outer space arms race.” The provocative (and perhaps contradictory) statement was made despite the 2015 establishment of the PLA Strategic Support Force (PLASSF), and recent plans by the PLA Air Force to expand its presence in space. The PLASSF, China’s own Space Force, consolidated, integrated, and synchronized all of its space, cyber, and electronic warfare capabilities under one umbrella organization. More strategic guidance is needed to guide and manage the operations of the new U.S. Space Force. Hence, this is part one of a three-part series that revisits past recommendations for a new U.S. space policy and strategy in terms of ends, ways, and means – freedom of space, space preeminence, and full-spectrum space deterrence, respectively. Part two will take a step back for strategic context and re-examine a conceptual framework characterizing the dynamics that contribute to instability and stability in the space domain. Part three will then discuss suggestions on how America (through the Space Force) can promote stability while prolonging U.S. space preeminence into the 21st century…additional considerations for U.S. policymakers as they develop a new strategic guidance for the Space Force. Altogether, these erstwhile proposals have become more relevant and acceptable with the passage of the new muscular National Security Strategy and National Defense Strategy, and can help provide a strategic framework for space operations, as well as advocacy for space requirements and capabilities. One of the principal goals of current U.S. strategic guidance for space – 2010 National Space Policy, 2011 National Security Space Strategy, and 2012 DoD Space Policy– is maintaining the stability, sustainability, and free access to and use of space for all. They specifically call for the conduct of space operations without interference and in ways that promote transparency and enable the sharing of benefits provided by the peaceful use of space. These lofty and benevolent U.S. goals are consistent with those of the United Nations that supports the conduct of space activities for peaceful purposes and the benefit of all mankind. There are historical precedents for guiding the consideration of universal space security and stability, the naval precedent perhaps foremost. For more than 500 years, great nations (maritime powers) maintained powerful and globally deployed navies to guarantee the freedom of the seas for all (net providers of maritime security), a pre-condition for international trade, economic development, and global prosperity underwritten by naval power ensuring the free flow of maritime commerce. Hence, there is a strong need going forward for a comparable guarantor of the freedom of space (net provider of space security) to ensure the free flow of space commerce, a leadership role that calls out to America, with allied support to fill. Just as maritime preeminence is necessary to guarantee the freedom of the seas, so too is space preeminence needed to guarantee the freedom of space. The extant strategic guidance implicitly acknowledged the necessity of space preeminence to enable the stated goals, but stopped short of explicitly affirming them outright. The next space policy and strategy should openly and fully commit America to maintaining that “degree of preeminence in space of one force over another that permits the conduct of operations by the former at a given time and place without prohibitive interference by the opposing force (freedom of action).” If not, the United States may unwisely cede this critical domain to China (and Russia). Many space strategists view space deterrence through the doctrinal lens of denying benefit, imposing cost, and encouraging restraint. On the whole, the current strategic guidance appears to rely heavily on denying benefit (resilience; mission assurance; shared reliance; and capability and capacity to operate in and through a degraded, disrupted, or denied space environment) to deter and defeat aggression by blunting the adversary’s offensive counter-space (OCS) capabilities. The other viable deterrent tools (threat of preemption, active defense, and redline) appear neither considered nor accepted. This limiting take on space deterrence is largely rooted in the hopeful belief of assured resilience, and therefore may have put too much confidence on denying benefit at the expense of imposing cost and encouraging restraint. U.S. policymakers may want to consider adopting a broader, more complete, and more balanced approach toward space deterrence if it hopes to “fully” deter or make a potential adversary think that starting a war or escalating a conflict would be worse than not doing so – particularly if that potential adversary is less reliant on space capabilities than America. The language and tone of the standing strategic guidance are largely ambiguous in terms of deterrence. The vague and imprecise language can be inadvertently misinterpreted by a potential adversary as perceived U.S. willingness to absorb a possibly disabling first strike, and could encourage a highly destabilizing preemptive attack since America has far more to lose in terms of warfighting capabilities than the attacker due to the offense-inclined nature of space conflict itself. Holding space assets at risk seems far easier and cheaper than defending them considering the wide range of threat vectors, large target sets, and predictable satellite orbital profiles. Moreover, absorbing such a first strike with all of its potential destructiveness, and then striking back against an adversary fully anticipating a retaliatory strike, can be militarily unsound and risky. In space, offense dominance scales up – “a power that strikes aggressively should be, in theory, able to get the upper hand, or at least get the greatest possible use of whatever OCS it has invested in.” Thus, employment of tactical preemption and tactical active defense may be appropriate. “Tactical preemption” is the use of military power to deny an adversary specific terrain or gains by attacking potential imminent threats before they can be employed. “Tactical active defense” is the interception and disruption of an imminent attack before it can affect its intended target. Including related language into the next strategic guidance can keep all deterrent options on the table, and coupled with resilience and declaratory statements (redlines), may give greater pause to any potential adversary contemplating a highly destabilizing first strike. Declaratory statement of redlines – actions beyond which would trigger a significant U.S. response – is one important means to shape and influence a potential adversary’s risk perception and calculus, lower the likelihood of misinterpretation, promote transparency, and encourage restraint. Declarative redlines make it explicit that certain actions carry unacceptable risks and consequences, and clearly lay out the conditions and willingness to inflict unacceptable retaliatory damage or destruction. In contrast, “ambiguity in deterrent threats, often held up as strategically artful, may actually encourage a potential adversary’s miscalculation and lead to greater risk taking.” To be effective, redlines need to be credible. Potential adversaries will not take redlines seriously if Washington does not back-up them up with concrete and consistent actions. Current U.S. declaratory space statements are deliberately vague to provide national leaders a wide range of policy options. The unintended consequences of such political flexibility might be a potential adversary not knowing what to expect, being surprised by the response, and misinterpreting the intent of the response. Therefore, declaratory statements may be warranted for military space capabilities relating to missile warning and C2 of nuclear forces and positioning, navigation, and timing systems relating to key force-projection capabilities. Attacks (kinetic and non-kinetic) on these critical military space systems should be declared unacceptable and that they will be met with “dire” consequences – keeping the consequences deliberately vague in this case. U.S. retaliation should be at the time, place, manner, and degree of own choosing. Potential adversaries do not need to know what, how, when, and where America would retaliate; just that America would in some fashion. That being said, redlines only work if they are backed up by proven capabilities to carry out the deterrent threats. The continued development, deployment, and employment of OCS capabilities is necessary to enable space warfighting capability and full-spectrum space deterrence unless military space assets can be given far greater resilience than what little they have today. A credible second strike capability requires credible OCS capabilities, preferably ones that are the least destabilizing. There is also danger for America in falling behind strategic competitors like China (and Russia) in OCS capabilities. Both nations are unilaterally and aggressively pursuing robust OCS capabilities of their own. The heart of the matter remains what type of OCS capabilities, how much, and to what extent should they be publicly disclosed. Regarding the former, some argue none or limited quantities are required while others call for robust OCS capabilities. Whatever the right answer may be, it is difficult to see how one can deter without “some” OCS capabilities. As for the latter, it may be best for now to keep OCS capabilities deliberately vague. Potential adversaries do not need to know what type or how much America has, just that America has the capability to act if it so chooses. The proposal to create a U.S. Space Force has cyber professionals wondering about the government’s national security priorities. While spaceborne threats are very real — some of which cannot be suitably described in a public forum — the threats posed in cyberspace have been all too real for over a decade, and include everything from nuisance hacks by nation-states, to the weaponization of social media, to establishing beachheads on our nation’s electric grid, or the internet routers in your own home. Since 2009, incremental improvements have been made to the nation’s ability to operate in cyberspace during this period. The establishment of U.S. Cyber Command (USCYBERCOM) — first subordinate to U.S. Strategic Command, and then elevated to a Unified Combatant Command (UCC) — and the formation of the 133 teams that comprise the Cyber Mission Force (CMF) are chief amongst them. Yet despite all of the money and attention that has been thrown at the “cyber problem” and for all of the increased authorities and appropriations from Congress, the nation’s offensive and defensive cyber capabilities suffer from inefficiency and a lack of a unified approach, slow to non-existent progress in even the most basic of cybersecurity efforts, and a short leash that is inconsistent with the agility of actors and adversaries in cyberspace. Our adversaries continue to attack our diplomatic, information, military, economic, and political systems at speeds never before seen. The discourse surrounding the formation of a dedicated service for space defense has captured the American imagination, and for good reason. Since World War II, America has shown her ingenuity and innovation, and the success of the U.S. Air Force provides a historical model for how a combat-ready, specialized fighting force can be built around a new warfighting domain. However, a force structure has already taken shape within the U.S. military that would logically translate to its own service, and the operational culture it would both allow and cultivate would greatly enhance the effectiveness of national security. It is past time to form the U.S. Cyber Force (USCF) as a separate branch of the United States Armed Forces. Deterring and responding to Russian hybrid warfare in cyberspace, countering Chinese cyber theft of U.S. intellectual property, shutting down state and non-state actor attacks, defending American critical infrastructure — including the very machinations of our democracy, such as voting and political discourse and even cyber defense of U.S. space assets are just some of the heavy-lift missions that would occupy a U.S. Cyber Force. Admiral (retired) Jim Stavridis recently described four ways for the U.S. and allied nations to counter challenges like the weaponization of social media and multifaceted information warfare campaigns on Western democracy: public-private cooperation, better technical defenses, publicly revealing the nature of the attacks (attribution), and debunking information attacks as they happen. A dedicated U.S. Cyber Force, with the proper ways and means to do so, could accomplish all of these things, and be a major stakeholder from day one. Admiral (ret.) Mike Rogers, former Director, National Security Agency (NSA)/Chief, Central Security Service (CSS) and Commander, USCYBERCOM, in his 2017 testimony before the Senate Armed Services Committee, cautioned against prematurely severing the coupling of cyber operations and intelligence that has been the hallmark of any success the U.S. has thus far enjoyed in cyberspace. General Paul Nakasone, the current DIRNSA/CHCSS and Commander, USCYBERCOM, made the same recommendation in August 2018. Despite increased resourcing of USCYBERCOM by both Congress and the Executive Branch, operational authorities in cyberspace are hamstrung by concerns about blending Title 10 military operations with Title 50 intelligence activities, along with negative public perception of the NSA. 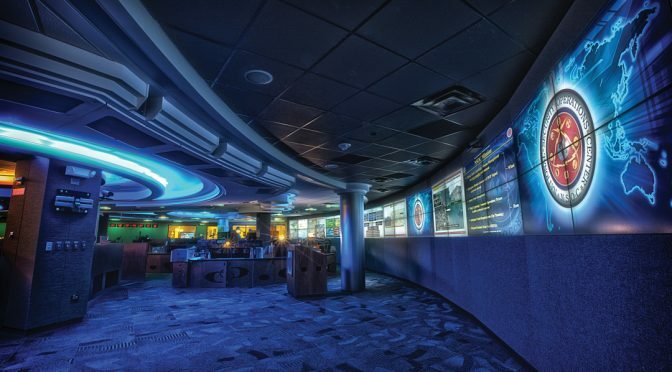 The relationship between USCYBERCOM and NSA requires a complicated (and classified) explanation, but blending cyber operations with rapid, fused intelligence is vital, and go hand-in-hand — to separate them completely would be to take the leash that already exists around USCYBERCOM’s neck and tie their hands with it as well. Offensive and defensive operations in cyberspace are two sides of the same coin — and intelligence is the alloy between them. Standing up a U.S. Cyber Force would also enable a deliberate re-imagining of this unique symbiosis, and a chance to — very carefully — lay out lines of authority, accountability, and oversight, to both prevent overreach and justifiably earn public trust. The above challenges could be addressed in part by refining the existing structures and processes, but the real sticking point in USCYBERCOM’s sustainment of fully operational cyber forces lies in how we build forces ready to be employed. Force generation of the CMF through the various armed services’ manning, training, and equipping (MT&E) their own cyber warriors is an inefficient and weak model to sustain a combat ready force in this highly-specialized and fast-moving mission area. Cyber resources play second-fiddle to service-specific domain resourcing; for example, the Department of the Navy has an existential imperative to resource the maritime domain such as shipbuilding and warplanes, especially during a time of great power competition. The cyber mission is secondary at best, and that’s not the Navy’s fault. It just simply isn’t what the Navy is built or tasked to do. This same reality exists for our other military services. Cyber will always be synergistic and a force multiplier within and across all domains, necessitating the need for the services to retain their existing internal cyber operations efforts, but feeding the joint CMF is ultimately unsustainable: the CMF must sustain itself. USCYBERCOM, NSA, the 133 teams comprising Cyber Mission Force — are approaching full operational capability in 2019 — and the operational and strategic doctrine they have collectively developed can now more easily transition to a separate service construct that more fully realizes their potential within the joint force. There is a strong correlation here with how the U.S. Army Air Force became the U.S. Air Force, with strong support in Congress and the approval of President Truman. The DoD has begun revising civilian leadership and building upon cyber subject matter expertise, as well, with the creation of the Principal Cyber Advisor (PCA) to the Secretary of Defense — a position that Congress not only agreed with but strengthened in the Fiscal Year 2017 National Defense Authorization Act. Such a position, and his or her staff, could transition to a Secretary of the Cyber Force. The footprint would be small, and room in Washington would need to be carved out for it, but the beginnings are already there. Cyber “culture” — recruiting, retention, and operations — as well as service authorities (blending Title 10 and Title 50 smartly, not the blurry “Title 60” joked about in Beltway intelligence circles) would all benefit from the Cyber Force becoming its own service branch. Perhaps one of the greatest benefits of a separate cyber branch of the armed forces is the disruptive innovation that would be allowed to flourish beyond the DoD’s traditional model of incremental improvement and glacial acquisition. The cyber domain, in particular, requires constant reinvention of techniques, tools, and skillsets to stay at the cutting edge. In the early 2000s, operating in a cyber-secure environment was thought to mean a restrictive firewall policy coupled with client-based anti-virus software. In 2018, we are developing human-machine teaming techniques that blend automation and smart notifications to fight and learn at machine speed. Likewise, the traditional acquisition cycle of military equipment, often taking 4-6 years before prototyping, just doesn’t fit in the cyber domain. In short, the “cyber culture” is an incubator for innovation and disruptive thinking, and there are professionals chomping at the bit for the chance to be a part of a team that comes up with new ideas to break norms. A dedicated acquisition agency for cyber would be an incubator for baked-in cybersecurity controls and techniques across the entire DoD acquisition community. The Defense Innovation Unit (DIU) — recently shedding its Experimental “x” — is proving that something as simple as colocation with innovation hubs like California’s Silicon Valley and Austin, Texas, and a willingness to openly engage these partners, can deliver innovative outcomes on cyber acquisition and much more. Similarly, the Cyber Force must be free to exist where cyber innovation lives and thrives. Creating the USCF has other benefits that would be felt throughout the military. The Army, Navy, Marines, and Air Force, relieved of the burden of feeding the offensive and national CMF and paying their share of the joint-force cyber bill, can better focus on their core warfighting domains. This doesn’t absolve them of the need for cybersecurity at all levels of acquisition, but a USCF can be an even greater advocate and force-multiplier for DoD cybersecurity efforts. Services can and should retain their service-specific Cyber Protection Teams (CPTs), which could be manned, trained, equipped, and tactically assigned to their service but also maintain ties into the USCF for operations, intelligence, and reachback. Smart policies and a unity of effort can pay big dividends here, as the services would naturally look to such an organization as the resident experts. Much has been made of the extensive difficulties faced by our military services for the recruiting and retention of cyber expertise in uniform. Brig. Gen. Joseph McGee, Deputy Commanding General (Operations), Army Cyber Command (ARCYBER), described an example in which a talented cyber prospect “realized he’d make about the same as a first lieutenant as he would in a part-time job at Dell.” Examples like this are repeated over and over from entry-level to senior positions, and everything in between, on issues from pay to culture. In the military, being a cyber expert is like being a fish out of water. But even these provisions do not go far enough, and the services are not obligated to implement them. When the challenges of pay, accessions at higher rank, physical fitness, or military standards in other areas come up, invariably some common questions are raised. A common question is why don’t we focus on using civilians or contractors? In the case of naval officers, why don’t we make them Staff Corps (instead of Restricted Line), like doctors and lawyers who perform specialized functions but need “rank for pay” and/or “rank for status?” What about enlisted specialists versus commissioned officers? The answer to the first question is easy in that we do use civilians and contractors across the military, extensively. The reason this is a problem is that we also need the expertise in uniform, for the same legal and authorities reasons we don’t use civilians or contractors to drive ships, lead troops, launch missiles, fly planes, and conduct raids. As for making them Staff Corps officers or equivalent in the other services, the Navy, for instance, has been talking about going the other direction: making officers in the Navy Information Warfare community designators (18XX) unrestricted line, instead of restricted line, like their warfare counterparts, or doing away with the unrestricted line vs. restricted line distinction altogether. This is a matter of protracted debate, but the reality is that some activities, like offensive cyberspace operations (OCO) and electronic attack (EA), are already considered forms of fires under Title 10 right now — thus requiring the requisite presence of commissioned officers responsible and accountable for the employment of these capabilities. The employment of OCO creates military effects for the commander, and may someday be not just a supporting effort, or even a main effort, but the only effort, in a military operation. Under the Navy’s Information Warfare Commander Afloat Concept, for the first time the Information Warfare Commander of a Carrier Strike Group, the Navy’s chief mechanism for projecting power, can be a 18XX Officer instead of a URL Officer. If anything, we’re shifting more toward URL, or “URL-like”, and the reality of the information realm as a warfighting domain is only becoming more true as time goes on, if not already true as it stands today. So what about our enlisted members? They’re doing the work. Right now. And the brightest among them are often leaving for greener pastures. But still for reasons of authorities, we still need commissioned officers who are themselves cyber leaders, subject matter experts, and practitioners. None of this is to say that direct commissioning of individuals with no prior service as officers up to O-6 is the only solution, or that it would not create new problems as it solves others. But these problems and all of the concerns about culture shock and discord in the ranks can also be solved with a distinct U.S. Cyber Force which accesses, promotes, and creates career paths for its officers as needed to carry out its missions, using the full scope of flexibility and personnel authority now granted in the FY19 NDAA. Another major challenge is the lack of utilization of our reserve components. Many members of our reserve force have multiple graduate degrees and 10-15 years or more of experience, usually in management and leadership roles, in information technology and cybersecurity. We have individuals in GS/GG-14/15 or equivalent contractor and other positions, who are doing this work, every day, across the Department of Defense (DOD), the Intelligence Community (IC), academia, and industry. Yet reservists are currently accessed at O-1 (O-2 under a new ARCYBER program), need to spend 3-5 years in training before they are even qualified to mobilize, or for the active components to use in virtually any operational or active duty capacity. And that’s after doing usually a year or more of non-mobilization active duty, for which nearly all employers don’t give differential pay because of existing employment policies, including in federal GS/GG positions. We have very limited mechanisms and funding sources to even put reservists on active duty at NSA or USCYBERCOM, where our service cyber leadership repeatedly states we need people the most. And in the rare instances we manage to put people on some type of active duty in a cyber role in their area of expertise, it often is not a “mobilization” under the law — which means a person is now an O-2 or O-3, and with that “level” of perceived authority and experience to those around them. And they often just left their civilian job where they are recognized as a leader and expert — and easily make $200k a year. Most people appreciate that you can’t just magically appear as an O-6, and have the same depth, breadth, and subtlety of experience and knowledge as a O-6 with 25 years in uniform. Yet these O-6s, as well as general and flag officers, routinely retire and assume senior leadership positions in all manner of public and private civilian organizations where “they don’t know the culture” — because they’re leaders. So while a person off the street doesn’t have the same level of understanding of the military culture, it’s incorrect to say they can’t innovate and lead on cyber matters — to include in uniform as a commissioned officer. We’re not so special to imply that you can’t lead people and do the critical work of our nation, in uniform, unless you’ve “put in your time” in a rigid career path. It’s time to change our thinking, and to establish a military service to support the realities of that shift. The call for a dedicated cyber branch of the U.S. Armed Forces is not new. Admiral (ret.) Jim Stavridis and Mr. David Weinstein argued for it quite passionately in 2014, calling on national leaders to embrace cyber innovation and imploring us to “not wait 20 years to realize it.” Great strides have been made in the four years since that argument was made, and we are closer than ever to realizing this vision. It will take a focused effort by Congress and the president to make this happen, as it did with the U.S. Army Air Forces becoming the U.S. Air Force in 1947. A tall order, perhaps, in today’s political environment, but not impossible, especially given the desire to compromise on issues of national defense and when both Republicans and Democrats alike are seeking wins in this column. The United States House of Representatives recently ordered the Government Accountability Office (GAO) to begin an assessment on DoD cyberspace operations as part of the FY19 NDAA. This study, due to Congress in 2019, should prove enlightening and may become a foundational effort that could be built upon to explore the feasibility of establishing the U.S. Cyber Force as a new branch of the Armed Forces. Congress could order this as soon as FY21, with the Cyber Force fully established by the mid-2020s (blazingly fast by federal government standards, but no faster than the proposed Space Force). The President has also now relaxed rules around offensive cyberspace operations, perceiving the urgent need to respond more quickly to cyber threats and cyber warfare directed at the United States. We have a great stepping stone in USCYBERCOM, but with no plans to take it to the next step, even a dedicated combatant commander for the cyber domain will face challenges with the above issues for the duration of its lifespan. Similar to how we are just becoming aware of space as a distinct warfighting domain, cyber has already been a warfighting domain since the beginning of the 21st century. The time for a U.S. Cyber Force is now. The threat in cyberspace, and our underwhelming response to it thus far, cannot wait. Travis Howard is an active duty Navy Information Professional Officer. He holds advanced degrees and certifications in cybersecurity policy and business administration, and has over 18 years of enlisted and commissioned experience in surface and information warfare, information systems, and cybersecurity. Connect with him on LinkedIn. Dave Schroeder served as a Navy Cryptologic Warfare Officer and Navy Space Cadre, and is Program Manager for IWCsync. He serves as a senior strategist and cyber subject matter expert at the University of Wisconsin–Madison. He holds master’s degrees in cybersecurity policy and information warfare, and is a graduate of the Naval War College and Naval Postgraduate School. Find him on Twitter or LinkedIn. The views expressed here are solely those of the author and do not necessarily reflect those of the Department of the Navy, Department of Defense, the United States Government, or the University of Wisconsin–Madison.